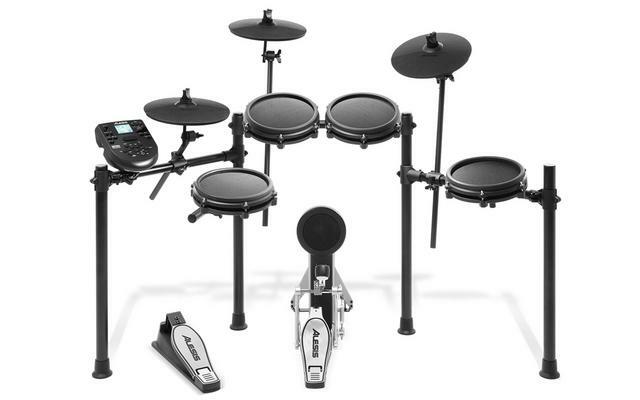 The NEW Alesis Nitro Mesh is a complete 8-piece electronic drum kit centered around next-generation Alesis Mesh head drum technology. 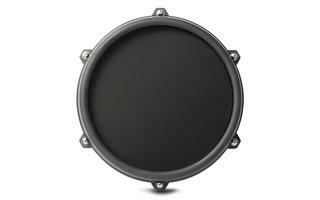 Mesh heads are the overwhelming preference of drummers when they play electronic kits because of their natural feel and ultra-quiet response. 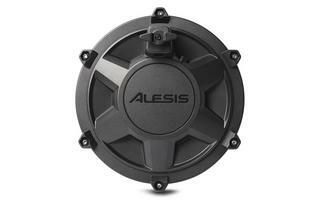 The Alesis Nitro Mesh features an 8" dual-zone mesh snare drum and (3) 8" mesh toms. 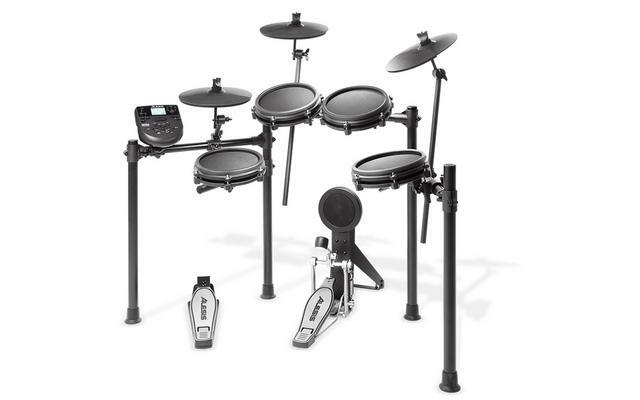 It includes everything else you need to make a complete drum kit; (3) 10" cymbals, custom-designed Alesis hi-hat pedal and kick pedal, and a durable 4-post aluminum rack. We also include all the cabling, power supply and drum key for easy setup. All of this connects to the powerful Nitro electronic drum module with hundreds of percussion sounds, 40 different kits and 60 built-in play-along tracks. I like the look of the newly designed 8" pads. I did notice right away that each pad had a six point lug set-up. I thought that was odd for an eight inch tom until I realized those rims look to be plastic which would explain the six point instead of 4 point lugs. Plastic rims are not necessary a bad thing. I used converted REMO practice pads for years and those rims where plastic (never had a problem with them). As long as the plastic is heavy with sufficient lug points (and this one does have sufficient lug points) it should be a good pad. If Alesis sells these pads separately, I could see some users wanting to make pad banks with them (I'm thinking octobon like set-ups).